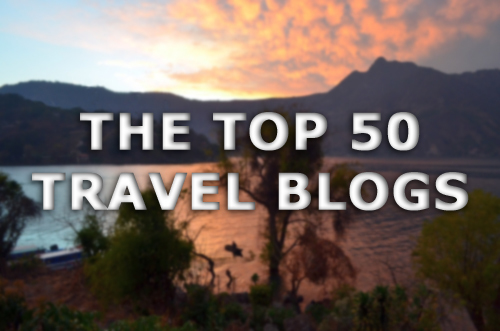 Below is a list of the top 50 travel blogs for the 2nd quarter (April – June) of 2012 ranked by visitor traffic. I reached out to a large sampling of travel bloggers and asked that they provide me with a screenshot of their Google Analytics page reflecting their site’s visitor statistics over a three-month period (April – June) of 2012. The reasoning behind this method was that I wanted to obtain a rolling average to compensate for monthly spikes that may have occurred. Further, utilizing Google Analytics as the uniform measure of traffic helped to ensure uniformity of data across all sampling. I understand that just because a site gets the most number of unique visitors doesn’t mean it’s the highest quality site. There are plenty of excellently written, well-designed, engaging sites that may not have high traffic numbers. If you are a travel blogger who would like to be considered for inclusion in the third quarter list (July – September), please e-mail me a screenshot of your Google Analytics page reflecting your site’s overall traffic from July 1 – September 30 to: [email protected].